The world’s first splash-proof Alexa speaker for the shower has just come to KickStarter. 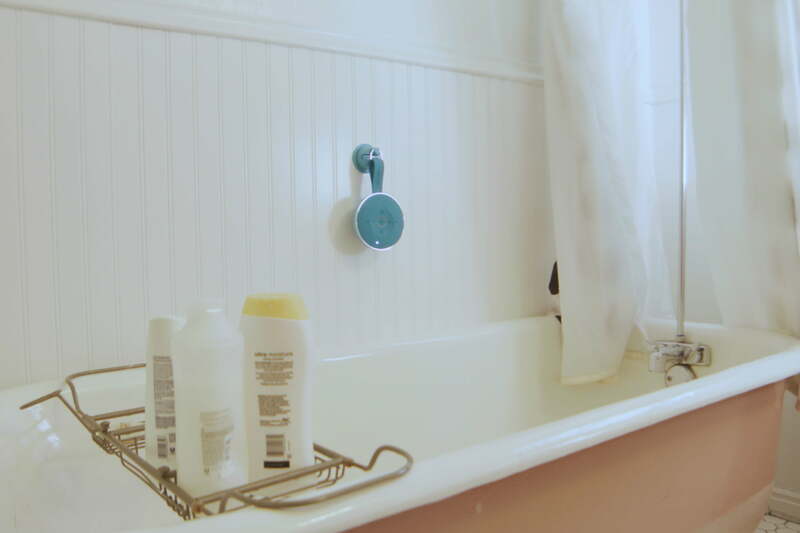 AquaDew helps bring all the advantages of having a smart home right to your shower. For those of us who like to be connected at all times, you’re in luck. Wasserstein Home has just launched a new KickStarter Campaign for its waterproof shower speaker that harnesses the power of Alexa. AquaDew works just like an Amazon Echo or Echo Dot. You just have to give the “Alexa” command to get it started. They say some of your greatest ideas or thoughts come to you in the shower. Now, you can stay connected easily while you’re there. Tell Alexa to set reminders, save an idea, play music, and more; all while staying in your normal morning routine. Need to brew your coffee while you’re washing your hair? “Alexa, brew my coffee.” Run out of shampoo? The KickStarter video features a girl ordering more in the middle of her soak. Sign me up. Not only can the speaker live comfortably in your shower, it can also be placed in any room in the house and work as any other smart speaker. Not a bad kitchen solution if your tomato sauce often splatters in every direction. AquaDew delivers eight hours of powerful sound and connects via Wi-Fi or Bluetooth. The speaker also comes with a MicroUSB charging port with splash-proof cover so you don’t have to worry about the battery dying on you during your favorite podcast. It’s sleek design (measuring 110 mm in diameter and 50 mm in thickness) and bright color LED lights ensure it will fit seamlessly into your routine. There are four different color options to fit your vibe. Wasserstein has been developing countless smart home accessories for Nest, Echo, Google Home, and more. AquaDew is the brainchild of the need for a more sophisticated Bluetooth shower device that’s also incredibly convenient. No more choosing a song or playlist before you get in. Change the song, pause, rewind, or skip with the five clean buttons on the speaker surface. For those who find this one interesting, the KickStarter campaign is live now. Early Bird pledges are going for $79. Looking for more cool gadgets? We’ve found everything you need on our curated deals page. We always encourage caution when participating in a crowdfunding venture.